- - A - - B - -: Arghhh!!!!!!!!!!! Tension!!!!!! haha...best2...man u atlast dpt q final since 2003..lame gak x g 1/4 final...tp larrson punye gol mmg terbaik...a perfect gol to go home(sweden) and all man u fans around the world'll remember him as a swede legend!...owh! 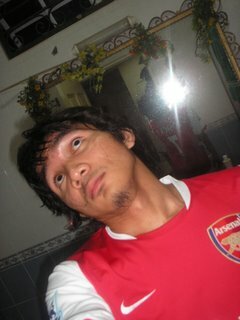 i'll miss him lpas die kene sub...x pe smith da balik...sib baik volley die x gol...haha...erm arsenal kesian...adebayor bodo...jual la die..haha! F seems to Be the Beautiful Letter!!!! A day wit da chipmunks!! !